Jared Loughner was arrested in January 2011 for allegedly killing six people and wounding 14 others, including Rep. Gabrielle Giffords during a shooting spree outside a Safeway supermarket in Arizona while the congresswoman was meeting with constituents. 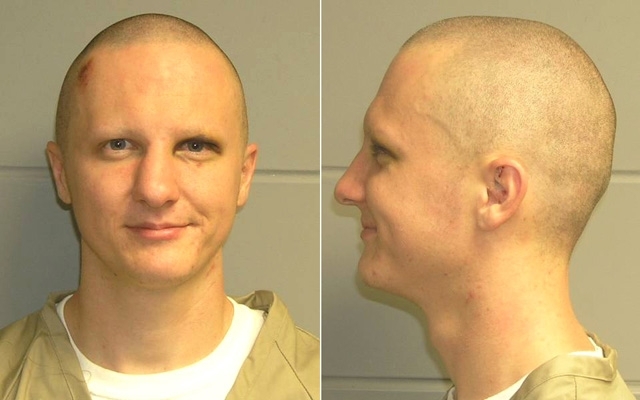 Loughner, 22, posed for the above mug shots taken by the United States Marshals Service when he appeared in U.S. District Court in Phoenix. Submitted by clairpie on Tue, 2011-03-15 15:23. Submitted by chris in the ATL on Wed, 2011-02-23 01:48.